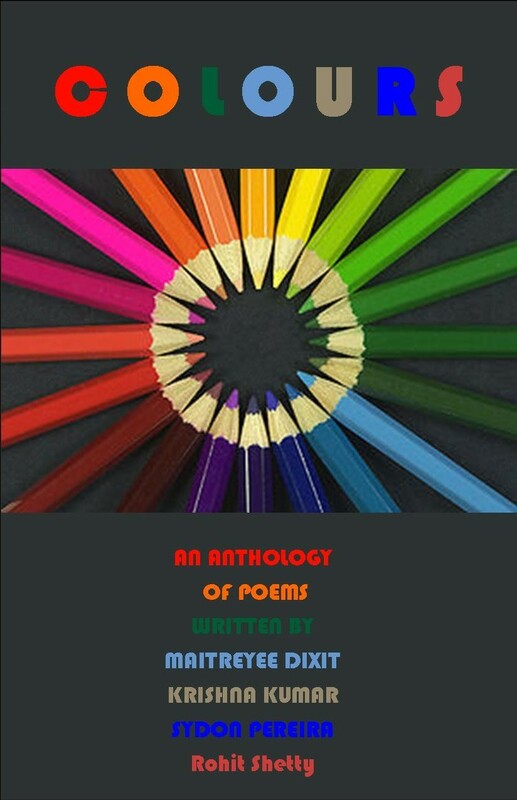 An Anthology of poems written by young different writers from across India. Like the different colours in the world of emotions this book contains some of the colours in the form of poetry. Rohit Shetty academically a chemical engineer. He is an author of the book “Silent Voices” published in the year 2011 and also an author of a four book series “Breaking Silence” published by First Step Publishing . Born and brought up in Mumbai. Rohit started writing at the age of twelve. He wrote for himself and dreamt of being a published author since childhood. Writing became his passion which he mostly does when the night sleeps. Poetry a subject which is not accepted with open hands but it has a set of its admirers. Unconventional to be a part of the main book selling scenario in India but a few publishers dare to go ahead with it. First Step Publishing has done some justice to the dying readership of poetry. Starting with Maitreyee Dixit , it seemed like she had it in her genes itself, Literary can be traced in her family from her great grand father Dr Hariram Mishra who was a meritorious scholar of Banaras Hindu University. reading her one of the poems “Phantoms Who Ate My Soul” we felt that if at 19 maitreyee can write such beautiful poems, she can go places if given proper guidance. I had to gather, many forget me knots! Like a stone, alone and cold.. It was too late when the tricks I realised…. The phantoms, for forever, had now gone away….! Be it from the beautiful weaving of words in her poem titled “Night” to the comparison of Fear, Insecurity and Pain with a Ghost in her poem titled “Ghost’s Shadow”, Maitreyee Dixit has potential to glue her readers to the book. Free verses are the best that can describe Krishna Kumar’s poems, Poems like “Deep Inside my eyes still lies your image” strikes a chord in your heart along with poem titled “Happiness” will make you think “How beautiful is the life of mine.” In short a potpourri of mixed emotions that one can portray and easily get connected to. I could feel yourself in me…. A professional whose life runs in shifts has been portrayed in the beautiful lines of the poem by Mr Sydon Pereira titled“Graveyard Shift”. Just four poems was a bit disheartening, as we were expecting more of this writer. For a newbie in writing its quite an incredible job. Poetry comes to everyone, but its only the select few who pen down their thoughts and are called poets. It’s almost night; for work I’m late! The pick up’s waiting at the gate! All alone the lonely streets I roam. It’s my night shift, if you didn’t get the cue. . . .
Don’t say a word, your lips you have to seal. You’re working when you’re supposed to dream! Varied problems you have to face! My eyes are burning, I can barely see. . .
Before you know, it’s time to go. I’m in my bed, cosy and wrapped up tight! But life’s hell in ‘Graveyard Shift’. Turning the pages i stumbled across the acknowledgement part of Mr Rohit Shetty. I’d have to be a thief. In short a good collection of poems and a must read for all poetry lovers. A Must read and a Recommended book by Book Review Forum.